All-time collection of cartoons by Dr. Jose G. Lepervanche. Drawings from the Navy, jobs, family, scouts, church, universities, seminars, classes, travels, parties, etc. It includes Josetoons, Scoutoons, Woodtoons, Eventons, Leptoons and Leptops. 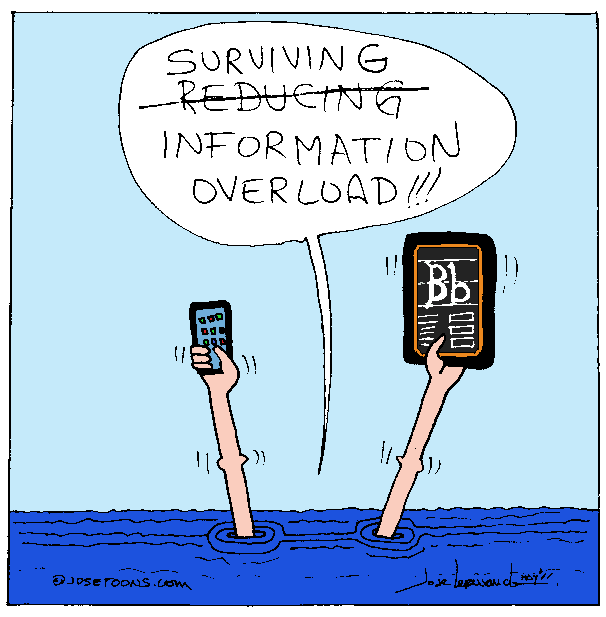 This entry was posted in Conferences, e-learning, Eventoons, Learning Edge Technologies and tagged Information Overload. Bookmark the permalink. This cartoon was updated after getting my first iPhone. Two years later I got an iPhone 6S+ with a bigger screen and still reducing information overload.